It’s been almost a week since the Governorship elections took place across Nigeria and quite frankly it’s been a relief – the tension that once filled the air is slowing evaporating. 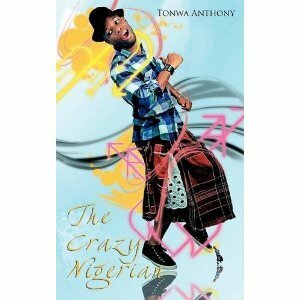 However, I want to point out that Nigeria was on the verge of chaos. Majority of the people were frustrated with the deplorable state of the economy; incessant security lapses in the terrorism chapter and a generous overdose of high level corruption running into millions of dollars (that’s a subtle way of saying ‘billions of Naira’). Fortunately most citizens were patient enough to be governed by a president who claimed he once had no shoes. But they were hell-bent on ousting the incumbent. And after 4 years these same considerate citizens exercised their voting rights on May 28th 2015 by giving him the boot – the irony of it all. One wonders what would have happened if the election result was in his favour. Would the people have been tolerant for another 4 years? Would the prominent tribes whose sentimental, religious and ethnic beliefs influenced their voting choices be able to restrict them from slapping supporters of the opposition into next Tuesday? Some days after the Presidential election Tribalism was temporarily on the hot burner of Twitter’s political timeline as trouble mongers attempted to stir up hate against the Ibo/South-East tribe of Nigeria (rumoured to support President Jonathan’s regime purely because he is not from the North or South West). But teleport into South Africa and you’ll be informed about the hate towards African immigrants by a certain group from the Zulu tribe of South Africa. Some of the pictures of murdered victims stemming from Xenophobic attacks were just too gruesome to be uploaded unto this article. The late Nelson Mandela would be turning in his grave now. Among the African immigrants taking refuge in wherever they suspect these attackers are not present, it is reported that there are Mozambicans, Zimbabweans, Malawians and Nigerians present. Later today, the SA president, Jacob Zuma, is expected to address the people. While my FG has advised Nigerians in SA to stay indoors I pray the anti-foreigner attackers don’t find their addresses. 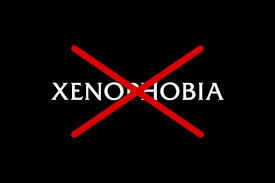 SAY NO TO XENOPHOBIA! – We are one. This entry was posted in Life and tagged attack, government, immigrant, Nelson Mandela, news, nigeria, SA, south africa, xenophobia, zulu by jollof. Bookmark the permalink.